People like to keep their rooms’ windows open, to let in some cool breeze during summer evenings. However, you soon begin to notice small mosquito like insects buzzing around your fruits, face, and everywhere you go. Your summer evenings and barbecue dinners are ruined by these persistent insects. Women wearing fruit flavored lipsticks or fruity perfumes are tormented even more. What are these annoying insects? They are called gnats. These gnats look like tiny flies. Gnats are small two-winged insects that resemble a mosquito. There are two kinds of gnats. The ones that bite and others that don’t. They live and move in swarms. The life cycle of a gnat(1) is about 10 days. Moisture and poor domestic hygiene. These teeny-tiny annoying insects are harmful to humans, house pets, and plants. They spread diseases and infections which are harmful to both humans and animals. Gnats also carry disease spreading parasites (2). You should know, there are two varieties of gnats out there. The first variety swarms and thrives in water bodies, usually stagnant water. These are known as fungus gnats. The second variety is the one that buzzes around ripe and rotting fruits. These notorious indoor gnats are also called fruit flies. These annoying insects can be treated with chemicals and pesticides. However, chemical sprays are not only toxic to humans and plants when sprayed in the air to target gnats, but also pollute the environment. 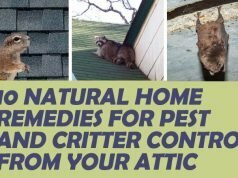 Want to get rid of these pesky insects indoors and outdoors? Say no more to gnats with these home remedies and solutions to keep away gnats naturally. A clean house has no room for insects. Poor domestic hygiene and clutter is the major cause of all insect infestation. Gnats are no exceptions. Summers are warm and conducive for insects and worms to come out. They are all over, multiplying and infesting everywhere. Cleaning your house regularly with disinfectants, and antibacterial floor cleaners becomes inevitable. Take special care to clean those darker corners and fancy rugs that are moist and become hiding places for mites and little insects like gnats. Don’t ignore those spills. We are all guilty of keeping those overripe or rotting fruits in the fruit basket. Fruits piled up in a basket begin to rot from bottom up, due to their own weight. Since the fruits above look fresh, we tend to ignore looking at the bottom. This is one of the sources of our trouble. Look into your fruit baskets regularly and discard the rotting ones as soon as possible. If you have excess fruits, refrigerate them in pop-up fruit savers. Stagnant water is a great breeding ground for gnat larva(3). Avoid any kind of water stagnation around your garden including those fancy ponds. One of the first positive steps you can take to control gnats. Your neighbors will thank you. Don’t leave leftovers exposed for a long time. Smells of stale and leftover foods attract all kinds of insects and pests, especially gnats. 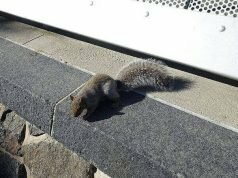 Don’t forget, garbage bins are the favorite hangout for insects, pests, and rodents which are the key carriers of most diseases. Put a lid on it. Ensure your garbage bins are shut at all times. If your house is getting too hot during the summer and you need ventilation, install close knitted screen guards geared to keep the gnats from entering your home. The medicinal and antibacterial properties of basil are well known. But did you know that basil also repels gnats? Growing basil in your yard and in kitchen garden will be just the right thing to do. You will be happy (4). Do not over water your indoor plants. Gnats thrive and seek warm moist places to lay their eggs. Soaking soil is a welcome signal to them. They lay their tiny eggs in the top soil. Using chemicals and pesticides indoors is a big no-no as these could spread throughout the house through your air vents or ceiling fans. That would be worse than just having gnats. If you see lots of gnats buzzing around your potted soil, it’s probably a good idea to replace the plant itself. If you can’t find it in your heart to uproot that plant, just scoop out the top layer of that soil in your potted plant and replace it with fresh soil. This will eliminate most of the eggs. The sweet smell of vanilla is pleasing to our noses. It is great to set the right mood or ambience around the house. There’s one more advantage to this. Gnats hate the smell of vanilla. The smell irritates them and they move out of the area instantly. How good is that? The multi-utility kitchen king apple cider vinegar is very handy for eliminating gnats. This is one of the most tried and tested solutions for gnat trapping. The strong potency of apple cider vinegar of gnats-repulsion is too good to ignore. Just pour some apple cider vinegar into a jar and cover it with a funnel and place it in areas with high gnat infestation, in and around your home. The strong smell will attract them like a magnet, and they will dive into the funnel. These insects cannot fly vertically upwards so, get trapped inside the jar. If you are out of apple cider vinegar you can make the same trap will plain old apple juice. It works just as well. This laundry liquid is a great option to get rid of these pesky insects. Pour some vegetable oil or a strong-smelling juice like apple juice in the drain and let it sit for about 15-20 minutes. Gnats will get attracted to the smell and start buzzing around your sink. Pour some fabric bleach on them. Worry no more when you drain gnats in the sink using this method. Wa-lah! Your gnats are gone. Fabric bleach is toxic to all living organisms. It will eliminate your gnats like magic. Baking soda is another multi-purpose kitchen friend. It is used in food preparations and cleaning purposes endlessly. Mix about 2 tablespoons of baking soda with one teaspoon of floor cleaner in 2 liters of water. Use this solution in gnat infested areas. This natural gnats-killer will not only kill the ones that come in contact, but also eliminate gnat swarm infestations in and around your house. Yeast emits a strong pleasant odor when it’s is used for dusting dough. That is not the only use of yeast. Make a yeast solution with sugar in a cereal bowl. Cover it with a plastic cling rap. Poke some holes in it and let it work for you. The pesky gnats will get attracted to the smell of yeast breaking-up sugar and jump into the bowl through the holes. As we know by now gnats cannot fly vertically upwards, they get trapped. Pour some ammonia solution or laundry bleach into the holes and say good bye. Be sure to wash the bowl thoroughly with warm water and soap if you intend to reuse it, because ammonia (5) and bleach are both toxic substances. Rubbing alcohol is a great germicide and disinfectant (6). No wonder it is the preferred choice in every hospital. Make a solution using about 100 ml of rubbing alcohol in one pint of water. You’d love this as your handy-dandy gnats killer spray. You can also spray directly on the gnats to kill them instantly. A very handy way to control gnats. Citronella works well, repelling gnats like a charm. Add a few drops of citronella oil to a pint of water. Spray away this solution in the corners and crannies of your home. Better yet, burn some citronella candles indoors or outdoors when you organize barbecues with your family, and you can forget about those gnats. Who says we have no use for banana peels except for making enemies slip and having a hearty laugh? Here is yet another one of your gnat catcher DIY solutions. Put some banana peels in a jar and cover the jar with a cling wrap. Poke a few holes of about 1 mm wide and watch what happens. As we all know house gnats love fruits, they instantly get attracted to the smell and dive into the jar and get trapped. 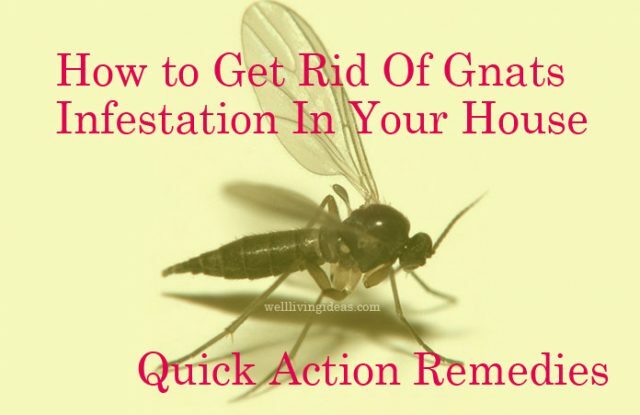 Your house is now gnat free! Cinnamon not only enhances the taste of your coffee or dessert, it also acts as a great inflammatory, antifungal, and antibacterial remedy. Sprinkle some cinnamon powder over your fruit basket, potted plants and other areas around the kitchen. Moisture gives rise to fungus which makes it a great bed for gnat larvae. Cinnamon instantly kills fungus on contact. This will in turn get rid of gnat infestation. Dip some cotton balls in lavender oil and place them in areas of high gnat traffic. This oil’s fragrance is pleasant to humans but irritates and repels gnats. Optionally put a few drops of lavender oil in water and place the solution on a stand over a tea light. The warm water will waft a stronger smell, getting rid of the gnats immediately. Mix juice of a lemon with any regular liquid wash and spray on the surfaces of gnat infestations. Gnats hate the citric smell of lemons. Garlic is a powerful insect repellent. Mix a few drops of garlic or fresh garlic extract with any house cleaning detergent and spray away. The pungent our will repel gnats and other insects as well. Neem has strong antifungal and antibacterial properties. In many Asian countries, neem leaves are eaten periodically to kill those stubborn stomach worms and bacteria when medication simply doesn’t seem to help. Neem is considered as the mother of medicines in Ayurveda. Make a solution with 100 ml of neem oil with a liter of water and spray on the infested areas. You will be happy to know, apart from getting rid of gnats you will not find mosquitoes around too. Make your own homemade gnats trap. Apply honey generously on yellow-colored strips of paper and hang them around gnat infested areas. Gnats will get attracted to the smell and once they settle on the sticky honey they will not be able to fly. They get stuck fast to the strip. Leave them on till they get full and replace if need be.This is one of the easiest, tried and tested solutions that answer your question – how to trap gnats? Liquid petroleum forms a glass like covering once it coats a surface. It does not let larva and other insects breathe, hence destroying their colonies. Your sink gets moist from time to time no matter how hard you try to wipe it dry. Moisture is a call for gnats. How do you deal with this unavoidable problem? Just pour some liquid petroleum in your sink before you go to bed. Your sink will stay clean, dry, and gnat free in the morning. If you have gnats trouble over a large area to deal with, try any anti-bug fogger. Foggers are especially effective outdoors. This is a non-toxic sticky liquid available in the pest control section of any department store. Pour some into a disposable bowl or tray, wait, and watch the magic. You will see the nasty gnats plunge to their doom. 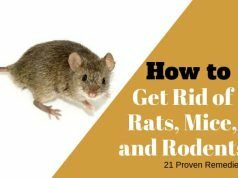 An unclean surrounding is an open invitation for insects, pests and rodents. The key to living healthy and protecting ourselves from the carriers of diseases is to diligently clean and follow up.